Since the "fall" of the Soviet Union in 1991 Western historians and researchers have had some access to Soviet intelligence files. Coupled with released information from Western Intelligence Services and the sackfuls of data smuggled out of Russia by KGB Archivist Vasili Mitrokhin, a comprehensive picture of Soviet espionage and subversion has emerged. It has become clear that Soviet espionage from the 1920s onwards was huge in scale and penetrated every Western government to the highest level. It has also been confirmed that local Communist Parties were routinely used to recruit potential spies and support them in their work. As more information emerges the lists of spies and traitors grow ever larger. Their treachery is of more than historical interest. Highly placed agents altered the outcomes of wars and influenced foreign and domestic policies in ways which still effect us today. Was New Zealand exempt from Soviet interest? Were New Zealanders involved in this Soviet directed “Web of Treason”? One New Zealander who believed we did have an espionage problem was the late Reuel Lochore. Born in 1903, and briefly himself a youthful Marxist, Lochore enjoyed a distinguished career, culminating in the late '60s as Ambassador to West Germany. During WW2 Lochore held the highly sensitive post of officer in charge of aliens, being responsible for the surveillance of non-British immigrants. Lochore monitored their activities in New Zealand, on guard against possible fifth column pro- Nazi activity. He also interviewed and checked out those applying applying for New Zealand citizenship. 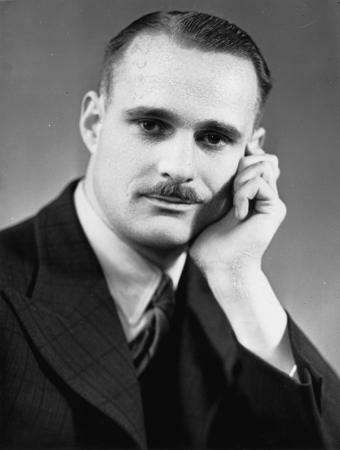 In 1949 Lochore became head of Security for the Prime Minister's and External Affairs Departments. His vigilance against the newly perceived threat of communist infiltration led to the sacking of at least one diplomat and the forced resignations of two more. Inconclusive evidence was gathered against several others. In 1980, Lochore presented to a Parliamentary committee allegations of high level KGB infiltration of the New Zealand Government. He alleged at least 15 Soviet agents operated in the Departments of Foreign Affairs, Trade and Industry, Defence, Justice and Health. Specifically named as the KGB's leading agent was former head of External Affairs, Sir Alister McIntosh. Alister Donald McIntosh was Born in Picton in 1906 and was educated at Victoria University, Wellington. Victoria, was in the 1920s already a centre of communist activity and recruitment. The “Free Discussions Club” was the heart of radical activity, with historian John Caute Beaglehole, in particular, playing a leading role. Clearly McIntosh absorbed some Marxism at Victoria. His 1929 MA thesis: "The Political History of Marlborough" is full of rhetoric like "The struggle between the land-owners and the landless was the outstanding feature of the political and social life of the day..."
In 1926 McIntosh began a career of public service in the General Assembly (Parliamentary) Library in Wellington. In 1935 Prime Minister Gordon Coates brought McIntosh into the tiny Prime Ministers Office. Here he worked in proximity to his friend, William Ball Sutch - since 1933 a member of the Coates "Brains Trust". McIntosh and Sutch shared a close friendship and interests outside office hours. During the 1930s. The society was founded and initially led by “Free Discussion Club” members John Beaglehole and Bart Fortune. The Society ran Modern Books in Wellington and was staffed and run by Communist Party members such as “Chip” Bailey, Jean Ferguson, R F Griffin and Ray Nunes. Bart Fortune himself became a covert member of the Party in 1935. Another prominent leftist involved included ,later Labour Attorney General Martyn Finlay. The pair also played a leading role in founding the New Zealand branch of the Institute for Pacific Relations, (IPR). Established in 1925, in Honolulu, the IPR had branches or affiliates in NZ, Britain, Australia, Canada, USA, China, Japan, the Philippines, the Dutch East Indies and the Soviet Union. Funded largely by the Rockefeller Foundation and the Carnegie Endowment, the IPR became a meeting house for the three main strains of early 20th century "Imperialism" - the extreme British Imperialism of Lord Alfred Milner's "Kindergarten" (incorporating the British Round Table and the American Council on Foreign Relations), Fabian Socialism and Soviet Communism. In 1951/2 the US Senate Internal Security Subcommittee held Hearings on the IPR and concluded that: "The IPR has been considered by the American Communist Party and by Soviet officials as an instrument of Communist policy, propaganda and military intelligence." The IPR disseminated and sought to popularise false information including information originating from Soviet and Communist sources. Members of the small core of officials and staff members who controlled the IPR were either Communist or pro-Communist. The IPR was a vehicle used by Communists to orientate American Far Eastern policies toward Communist objectives... Witnesses before the McCarren committee (have) identified 47 persons connected with the IPR as having been Communists or Soviet agents." The New Zealand branch of IPR, was like its overseas cousins, led by men of distinction and sometimes, radicalism. Executive members included Maori leader Sir Apirana Ngata, "progressive" educationalist Jock Strachan (headmaster of my "alma mater, Rangiora High School) and future ombudsman, Guy Powles. Walter Nash was Wellington branch chairman, while honorary secretary in Auckland was Nash's lifelong friend, Auckland University history professor, Willis Airey. Airey and Nash had been members of the Marxist leaning, Student Christian Movement together. Nash later became a Labour Prime Minister, while Airey went on to full (non-card carrying) membership of the New Zealand Communist Party. Sutch, incidentally had also been in the Student Christian Movement. McIntosh and Sutch both played leading roles in IPR. McIntosh was National Secretary in 1934 and his friend was on the National Council in 1937. Coexistent with IPR in Wellington was the NZ Institute for International Affairs (NZIIA). McIntosh was a founder of this group and Sutch was also involved. In 1938 the pair co-authored 10 chapters of the NZIIA's book "Contemporary New Zealand". (Sutch also dedicated his 1936 book "Recent Economic Changes in NZ" to McIntosh). In 1939 IPR merged with NZIIA to form the Institute still existing today. IPR influence did not die however. One US diplomat in Wellington at the time was John Service, an identified Communist, suspected Soviet spy and leading IPR activist. By 1943, Secretary of the War Cabinet and head of the forerunner of the External Affairs Dept, the Imperial Affairs Section, McIntosh would almost certainly have met Service in the course of his duties. Certainly at least two members of the Cambridge Communist rings were active in IPR. One, Michael Straight, son of a rich American banking family, was "run" for a short time by a Soviet intelligence Officer in Washington before breaking with Communism. Years later Straight provided the key evidence needed for British Intelligence to confirm the treachery of Anthony Blunt. Straight told MI5 that Blunt had personally recruited him to the Soviet cause, while they were members of a Communist cell at Cambridge. The other was Egerton Herbert Norman, of the Canadian External Affairs Department. Norman, a Cambridge Communist and associate of Blunt, Philby, Burgess and McLean, was named as a Soviet agent to an investigating sub-committee of the US Senate Judiciary Committee. While Canadian ambassador to Egypt in 1957, (and due for recall to face an investigation) Norman stepped off the top of an eight story building in Cairo. Some have claimed that Norman's suicide note suggested that he took his own life to protect his friend Lester Pearson (then Canadian External Affairs Minister and later Prime Minister) from exposure as a fellow member of a Soviet network! When told of Norman's death Anthony Blunt reputedly said "Herb was one of us". Speaking of communism, what influence do you think communists have on the Green Party here in NZ? Far too much anon. I have posted extensively on that influence and have not finished yet. The link below will take you to a post that links to all my main red/Greens posts. An independent author has written a book primarily about Dr William Sutch and published it on the internet, free for anyone to download. A work that concerns itself primarily with New Zealand’s ‘development’ phases, and its security service history up until when Dr Sutch, one of New Zealand’s leading figures during two very difficult periods in New Zealand’s development, was put on trial there by his peers for supposed espionage in 1975. Acquitted he died one year to the day from when he was first arrested. Though justice was seen to be done, this never was the case really, as there has remained a question mark as regards his innocence ever since. Australian Communists Hail NDU "Victory"